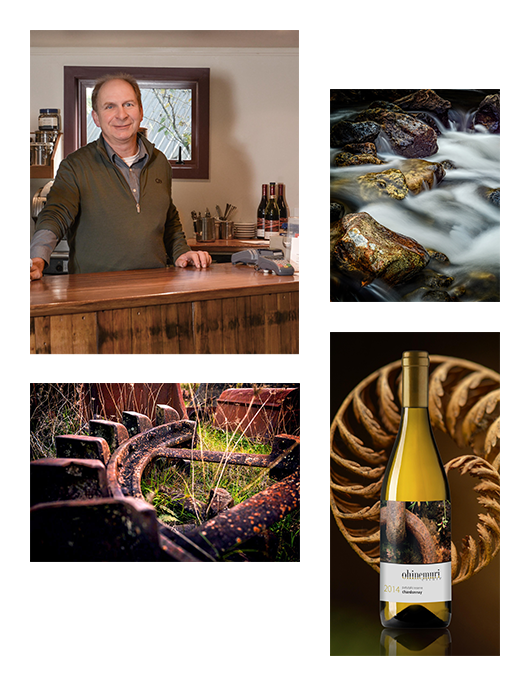 Horst was born and raised in the Rheinhessen region of Germany. In 1976 he began winemaking after leaving school. His apprenticeship was in the Rheingau region of Germany. After completing that, he went onto university in Wurzburg, where he gained distinction in his viticulture and oenology degree. He worked in several wineries in Germany and Switzerland until coming to New Zealand in 1987 for a five week holiday. Quite taken with the country, he forewent his return ticket and spent time learning and enjoying at some of New Zealand’s distinguished wineries. In 1988 he met his future wife Wendy. Together they founded Ohinemuri Estate in the Karangahake Gorge. Through the following 28 years they developed the place from a basic cottage and stables to a wonderful winery and restaurant. Now, Horst is concentrating more on his original love of winemaking. Still creating his lovely wines in Karangahake he is enlarging his clientele and offering his unique and humorous style to wine tastings and events. The grapes are selected from New Zealand’s premium wine areas and each year is treated individually depending on the needs of the fruit. As a result Horst’s wine receives all his attention and passion. All the care and love of the grape is apparent in every bottle he produces.